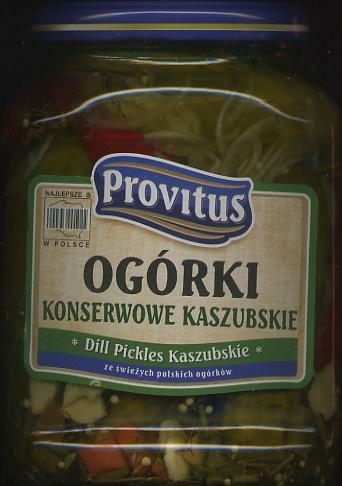 Provitus Dill Pickles Kashubian Style 640g - Canned Items - The Dutch Shop LLC your store for Dutch groceries. Kashubian cucumbers Perfect composition of spices, marinated pepper and cucumbers. Perfect addition to dinners, sandwiches, salads, but also a great snack itself.